From the moment we arrived all our needs were catered for, we were greeted by the very hospitable Ursula who checked us in in a matter of minutes and organised all our ski passes without hesitation and considering there was 12 of us if was no walk on the park!!! Dear Guest, we can not tell you how happy we are about your email. We are happy that you and your family had a great time even with the circumstances at the end. It was a pleasure having you all here and we "the whole Hotel and Restaurant Feinschmeck team" are looking forward to welcome and spoil you again in the near future. Best wishes and greetings from all of us. The staff of the Feinschmeck are all first class professionals. If I were to get into the hotel industry I would offer them all jobs. Reception is a fine tuned service where all your questions will be answered and lots of helpful advice is dispensed. If you have a problem Ursula, Jessika and Larisa will be on hand to resolve. The service team are a fun bunch with Veronika (Ronnie) Jozef, Robert and Robin. This team are incredibly attentive and genuinely care for the guests, they are all a credit to the hotel. The house keeping team are also very professional and nothing is too much for the ladies to help with. Kalinka, Lucia and Monika were all very accommodating with our various requests. Hotel location is spot on in the centre of town, 5 mins from the CityExpress gondola and 3 mins from the lake. It is wonderfully Austrian (obviously) with a real homely feel about it. All in all one of the best hotel experiences I have had. Dear Guest, WE ARE SPEECHLESS!!!! Thank YOU and YOUR lovely family for beeing our guest. It was a big pleasure having you here. Also thank you for taking your time to 1st. remeber all staff names :-D and 2nd writing such a great and nice comment. We don't take this for granted. We hope and keep all our fingers crossed that your dad is getting better and we really really look forward to welcome you again one day. From all our staffs Again THANK YOU and BEST Greetings from Zell am See. Excellent location, good restaurant and very nice and service-minded staff! The hotel helped us with lots of arrangements in advance. Can be a bit noisy during early night from the main street but given the location it was worth it. Rooms are nice and the whole atmosphere was cosy and stylish. I would definitely stay here again! Dear Guest, thank you very much for your nice ranking. It was a pleasure having you here for your holiday and we cant wait to welcome and spoil you again next time. We wish you all the best and sending best regard from Zell am See. 4 day ski weekend. Prime location middle of pedestrian zone. Very accommodating, booked us taxi transfers for airport on request, opened breakfast early the morning we left, checked us in to our return flight. Breakfast was quite basic and wasn’t readily topped up. Dinners are amazing. Very clean rooms, traditional decor, comfy beds, large bathroom. Safe key request-able from reception. As a 22 year old female having a good amount of plug sockets and mirror space is very important and I think worth a mention! My room (202) was directly above the bar that people have complained about, see pic, however as party goers ourselves this was not an issue as it usually had shut by the time we got home at 3am! 9/10 - better breakfast needed for 10. Dear Guest, it was a pleasure having you bothe here for your ladies holiday. We wish you all the best and sending best regard from Zell am See. 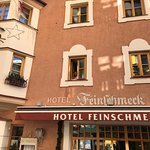 its a very nice hotel in the center of Zell am See, very close to the city express bubble lift, easy to find, easy to park your car nearby. A lot of bars, restaurants and shops just next to the hotel. Dear Guest, it was a pleasure having you here for your holiday and we cant wait to welcome and spoil you again next time. We wish you all the best and sending best regard from Zell am See. 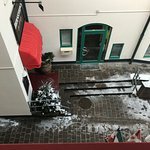 The hotel is in the best location of the village, two minutes walk from the lake, pedestrian area,close to the Christmas Market, the municipal garage is only 100 meters far away and very close to the base of CityXpress bahn, for visiting the mountains. Very spacius room, excellent high speed free wi fi and high quality breakfast. The staff is very friendly and helpful, especially the ladies in the reception. They are well informed and can help you, to explore the area..